Fun engineering projects for kids Does your kid's love of 'tinkering' resemble that of a budding Thomas Edison? Then Getting Started with Engineering is guaranteed to spark their fascination! The focused, easy-to-complete projects offered inside are designed to broaden their understanding of basic engineering principles, challenge their problem-solving skills, and sharpen their creativity--all while having fun along the way. 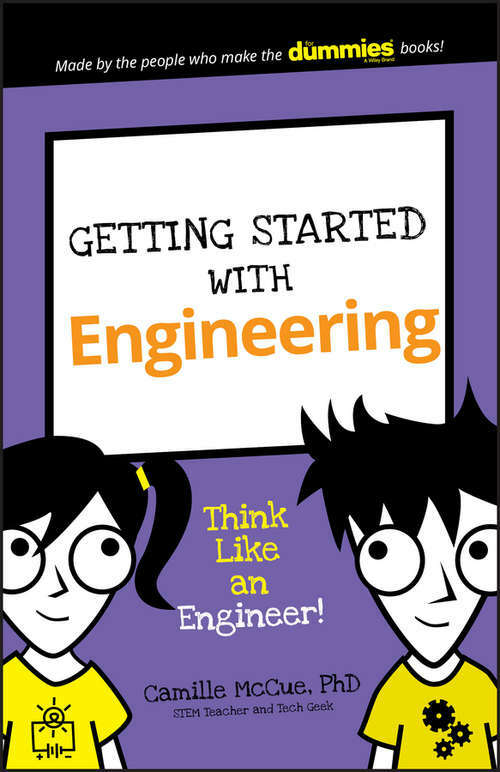 Engineers are experts on how things work--and this book is your youngster's best first step to developing the skills they need to think, design, and build things like the pros. The projects they'll complete feature a fun twist that appeal to their age group--from a tiny model roller coaster to a wearable toy that includes an electronic circuit--and the instructions are written in an easy-to-follow manner, making it possible for them to experience the pride and accomplishment of working independently. Appropriate for children aged 7-11 Simple explanations guide children to complete three projects using household items The full-color design, short page count, and easy-to-follow instructions are designed to appeal to kids Brought to you by the trusted For Dummies brand If you have a little engineer that could, Getting Started with Engineering is a great way to encourage their fascination of figuring out how things work.